I am 33, but most of my friends in here are younger than I am. I just turned 45 last month. I joined 3 years ago (last month) and lurked for several months before that. I'm 19, but have been a member since I was 14. It doesn't surprise me that the majority of people are between 16-25. Thats the era that "grew up" with Harry. 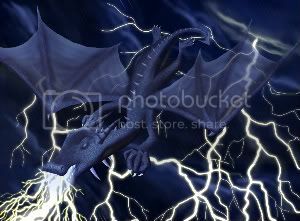 Last edited by Lord Godric; March 3rd, 2010 at 2:50 am. Im 20 right now. - I never became a real fan until recently when I picked up the books again since The Order Of The Phoenix. I quickly caught up though and got reminded of how I really did enjoy it. I am 18 now but have been around since i was twelve. Weird to think I was a seventh grader when I started here and now I'm in my first year of uni. Riddle Thread * Ask the Brits * Chocolate! I'm 22, which also happens to be my favorite number! I'm 38! I love that age doesn't really mean much here, but I will admit that I often get jealous of those members still in college. Not that I would change anything, I just had a great time during those years. HMN-- I am in college. I went back when I was in my mid forties. You could always go back to college, if you want. Im 16 in my junior year of high school... people here are so much older i always thought theyd be around my age. I am 19. Soon to be 20 in August. My age is state secret. It is kept in a confidential file deep in an underground facility, which is bomb-proof and guarded by little people carrying lightsabers. No, they don't sparkle. They couldn't hide if they sparkled. But, they do wear rings. One of them has pointy ears and big feet.